The University of Plymouth will be creating exciting opportunities for students, staff and the public alike as it expands its partnership with the iconic Port Eliot Festival. For the third year, the University’s Faculty of Arts and Humanities is to be the official Creative and Cultural Partner of the festival, which will take place in south-east Cornwall from July 27 to 30, 2017. The collaboration will see a range of activities taking place on the University campus and in the wider community including an outreach project with local schools to highlight opportunities and progression routes in, and through, the creative industries. Then during the festival itself, students and academic staff will work alongside established professional artists and designers to stage workshops in a range of craft and design practices in collaboration with Hole & Corner magazine. They will also create a daily newspaper for the festival and in partnership with Creative Kernow, showcase Cornish design creativity through the ERDF funded Cultivator initiative. Meanwhile, academics from across the arts and sciences will showcase their world-leading research as part of science events in the iconic Port Eliot Round Room. The collaboration is coordinated by the University’s Creative Cultivator unit, which exists to nurture and support external engagement, knowledge transfer and collaborations between academia, the creative industries and wider community. 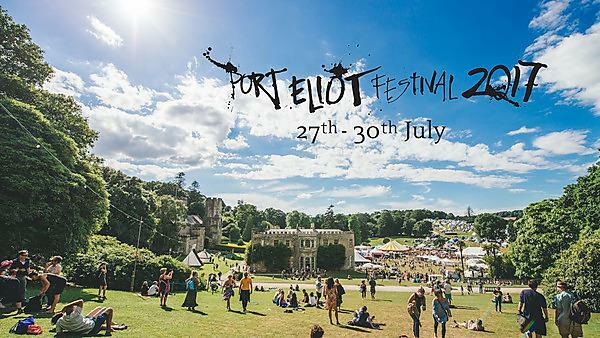 Port Eliot aims to inspire and surprise as it draws an unmatchable collection of artists, musicians, writers, comedians, performers, thinkers, makers, protagonists, agitators and scribblers to one of the most beautiful corners of the country. This year’s event will run from Thursday 27 to Sunday 30 July on the rolling park and woodland of the ancient estate at St Germans, on south-east Cornwall’s Rame Peninsula.